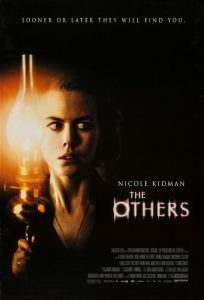 A woman (Nicole Kidman) who lives in a darkened old house with her two photosensitive children becomes convinced that her family home is haunted. You are invited to a unique immersive cinema experience at Charlton House where we will be screening Alejandro Amenabar’s spooky thriller, The Others. Charlton House is famous for its Jacobean style dating from the 17th century, but also for its creaky floorboards and haunted reputation. There will be many spooky surprises throughout the evening.